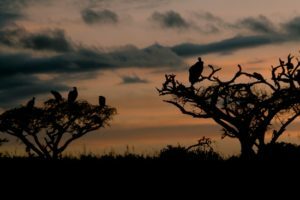 Beautiful sunsets and close encounters of our favourite kind; wild sightings, proud posers and intimate moments caught on camera. These are just some of the wonderful things that we were lucky enough to sight see this month. 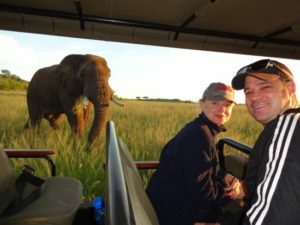 While every day here at Nambiti Hills Private Game Reserve is different, the feelings we get are the same: wonder, awe and a sense of pride to be a part of the African wildlife magic. Feeling friendly? This beastly giant surely was, as lucky guests got to get up close and personal, from the safety of the game viewer. A moment that will take your breath away! 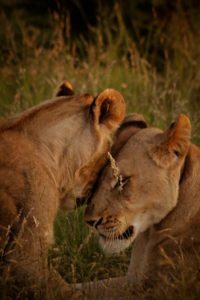 An intimate and precious moment shared between a lioness and her cub. Arguably the best part of the day, when the heat rises off the land and a calm sets in. Time for sundowners and some game spotting. What a gem! 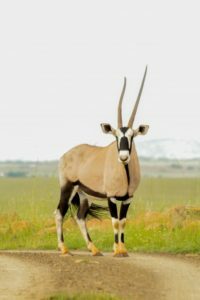 This gallant gemsbok stood his ground on the side of the road as the game viewer drove past with excited guests.